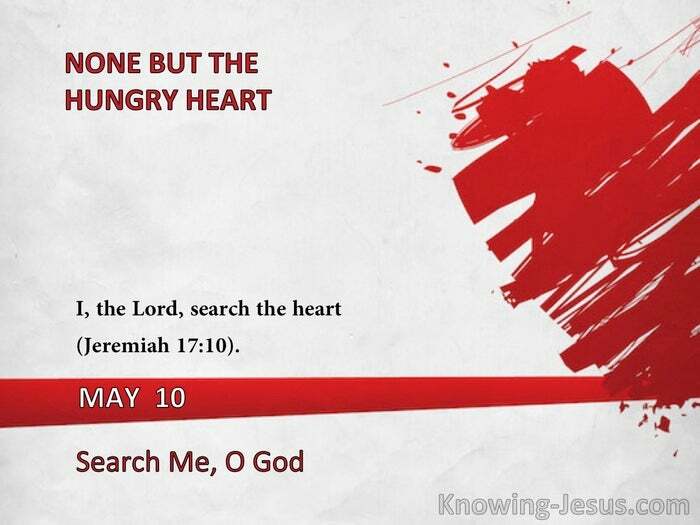 I, the Lord, search the heart" (Jeremiah 17:10). During the early, carnal years we are afraid to face up to the sinful nature within, not fully realizing that it was dealt with in condemnation to God’s full satisfaction at Calvary. When we come to see that all the old nature was taken down into the death of the Cross, and in Christ Jesus we are completely clear of its penalty and power, it is then that we begin to welcome the work of the Cross upon all that of which the Holy Spirit convicts us. "The natural man cannot bear the thought of being searched by God; he cannot stand to think of being found out in his true condition and character. 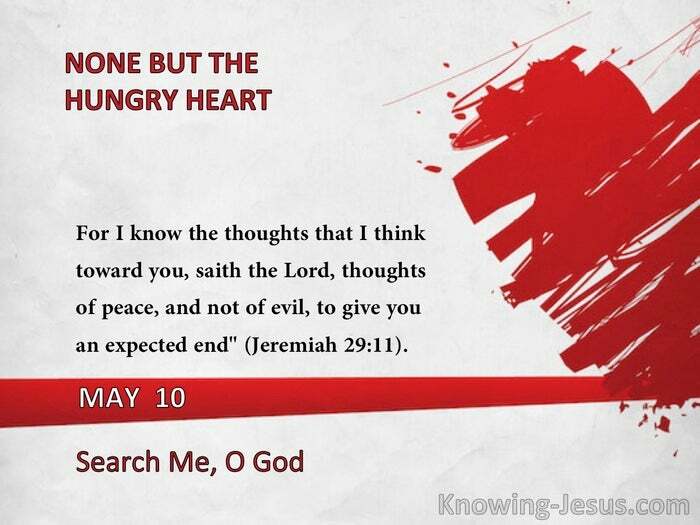 But to the truly hungry believer it is a positive comfort to be assured that God knows everything about us; He knows the very worst that can be discovered. He has searched out all that we are, and in spite of all He has thoughts of blessing concerning us. There is, therefore, no fear of anything coming to light that might cause Him to change or reverse His thought of blessing and acceptance." -C.A.C. 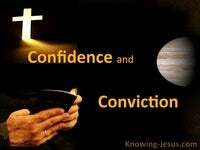 "Our acceptance with God in Christ is perfect, and therefore unimprovable. It never alters; never varies. And it is very important for us not to mix the acceptance itself with our enjoyment of it. Our acceptance is in Christ,' and therefore eternal; the enjoyment is by the Spirit,' and therefore (because of the working of the flesh) often hindered." -J.B.S. 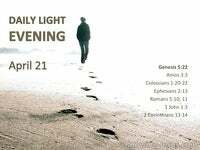 "The sense of His goodness removes the guile of heart that seeks to conceal its sin." -J.N.D. "For I know the thoughts that I think toward you, saith the Lord, thoughts of peace, and not of evil, to give you an expected end" (Jeremiah 29:11).